was quoted to have said that ‘Greed is good’. Just to paraphrase his words in lay terms, someone is said to be greedy if they are more adept than others during the share of resources. Ideally greedy fellows will always claim a larger share of the said resources through their intellect, physical abilities and any other exploitable avenues that may give them a mileage over others. 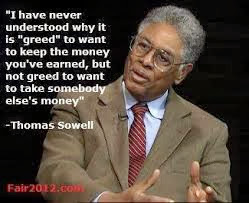 Quite interesting, the flip side of greed is ‘fear’. This should imply that there are two distinct types of money makers, the greedy and the fearful. Forex and money markets should depict these two distinct classes of individuals in a rather understandable manner. They thrive purely on the emotions of the traders and successful traders have honed their trading skills by learning the art of reading the market emotions and moods. Typically a pro will buy when others are fearful (buying from pessimists) and sell when others in the market are greedy (selling to optimists). Warren Buffet, mark you, was quoted to have said, ‘be fearful when others are greedy and greedy when others are fearful’. Despite the rudimental meanings of ‘greed’ and ‘fear’, the acquisition and or loss of money is entirely entangled in the two extremes. It’s through this understanding that lets anyone decipher that money is actually an emotion. The greedy have lots in their possession while the fearful languish in poverty.